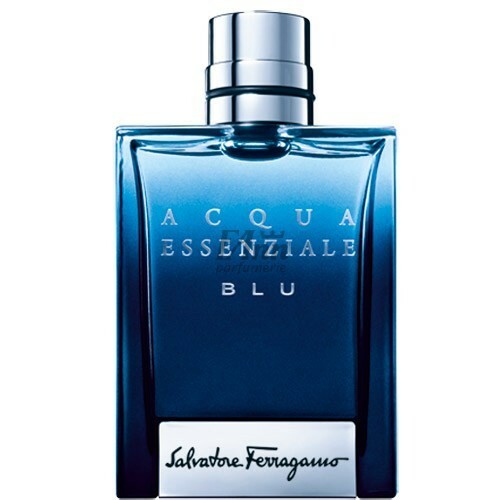 Salvatore Ferragamo Acqua Essenziale Blu is a new men's fragrance Salvatore Ferragamo which arrives on the market in April 2014. The fragrance is inspired by sea water aromas, power of waves and nature. It was constructed as oriental fougere and offers a fine blend of citruses, aromatic herbs, hot resins and precious wood. Successor of the last year's edition Acqua Essenziale. Top notes of Salvatore Ferragamo Acqua Essenziale Blu will enchant you with accords of green cardamom combined with citruses zest (Calabrian bergamot and lemon) accompanied with paradisone molecules (20 times stronger than Hedione molecules and leaves intoxicating floral scent that fills the room). The heart of the composition lines Atlas cedar, fine, aromatic lavender, cypriol and cascalone molecules, on a hot base of benzoin, tonka, ambroxan and deep, smoky patchouli. It is recommended for casual wear.